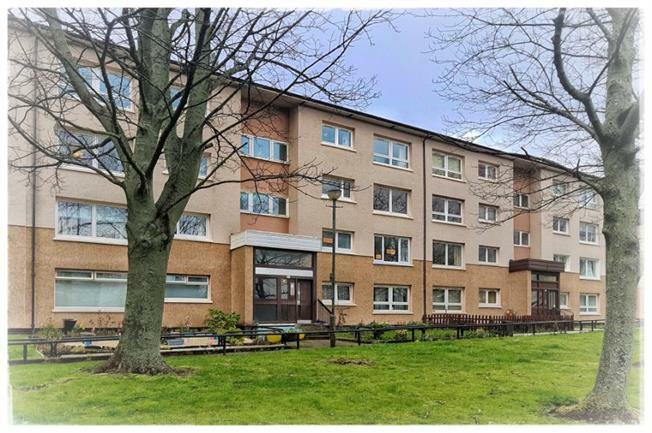 1 Bedroom Upper Floor Flat For Sale in Glasgow for Offers Over £95,000. Located in the Townhead area of the city centre, this well proportioned one bedroom apartment occupies an attractive top floor position, perfect for city professionals and students alike given the residents' parking and convenience of nearby universities, college and Royal Infirmary. The property comprises of a long entrance hallway with 3 storage cupboards, the naturally bright open plan living space offers lounge and dining areas, open aspects and a modern fitted kitchen. The double bedroom is generous in size and has a storage cupboard, and finally there is a three piece bathroom with a shower over the bath. The property benefits from double glazing, a shared drying room off the landing, a controlled security entrance and secured residents' parking. The convenient location offers easy access to Strathclyde and Caledonian Universities, the City of Glasgow College, and the Royal Conservatoire. There is good transportation links with the nearby Buchanan Street bus station, Queen Street railway and subway stations plus quick access on the M8 motorway. Amenities are a plenty including local shops providing day to day needs and walking distance to Glasgow's renowned high street shopping along the Style Mile and Buchanan Galleries.